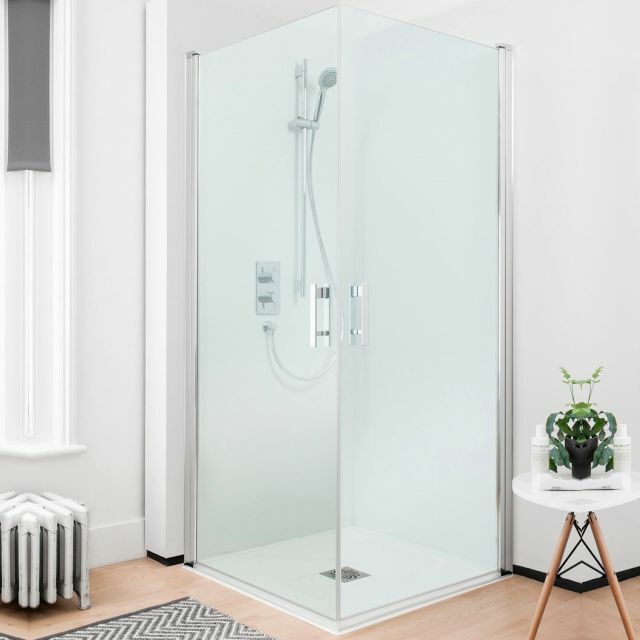 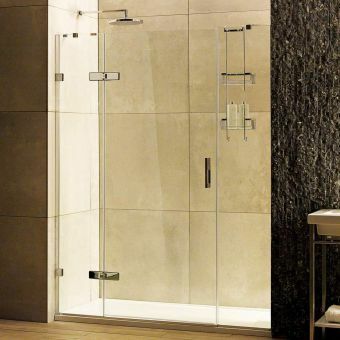 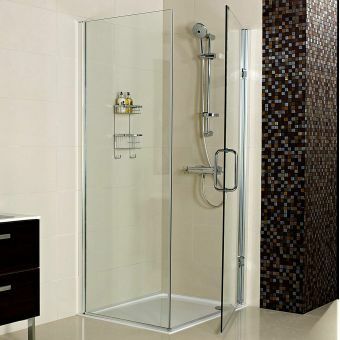 A bold and innovative step forward in accessible shower enclosure design, the Click Easy Access Double Hinged Shower Door guarantees an unprecedented level of entry for the corner shower enclosure. 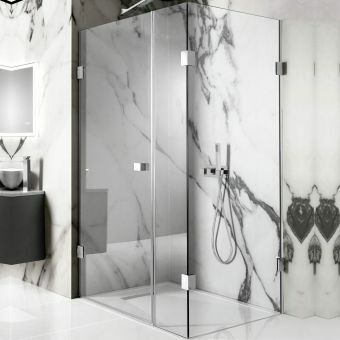 Cleverly incorporating two hinged doors that converge on the corner edge to create a cubicle, this is a stunning example of the Simpsons ability to think outside the box. 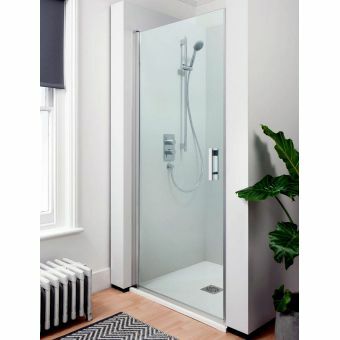 Specifically designed to create a corner installation, the Easy Access Double Hinged Door bears all the traits of the Click range in terms of style, design and finish. 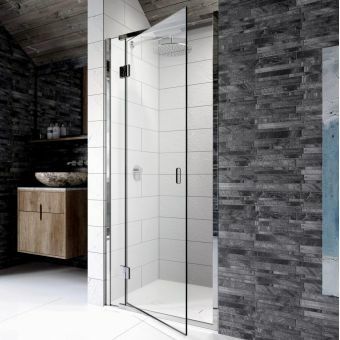 Anchored at the wall, these doors are essentially moveable screen panels, swinging outwards to afford a wide entry point. 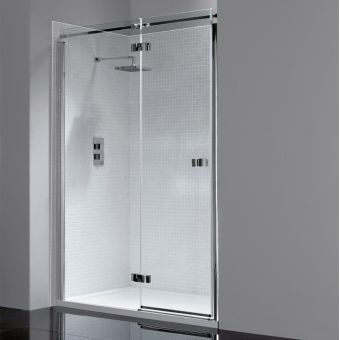 Fashioned from toughened safety glass and finished with gleaming silver fittings, it is a tempered balance between style and function. Accessibility products that cater for disability or elderly users can often overlook the importance of style, but Simpsons Click never compromises on contemporary elegance.